Gastric cancer is one of the leading causes of cancer-related mortality worldwide, and surgery is the only curative treatment option for gastric cancer. Resection may be a preferable treatment option depending on the localization, size, and stage of the tumor. 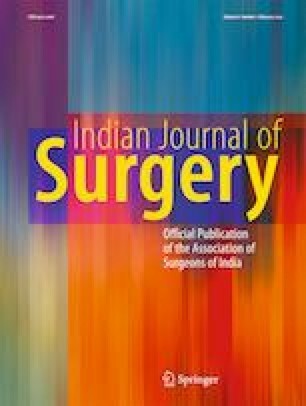 Comparative benefits of total and subtotal gastrectomy for the treatment of distal gastric cancers are still controversial. Total gastrectomy of distal gastric cancers is recommended based on the hypotheses that suggest that this procedure decreases the probability of recurrence, eliminates the multicentric cancer loci which may remain in the gastric tissue after subtotal gastrectomy, and rules out the possibility of remnant gastric cancer which may develop metachronously. However, studies that investigated the superiority of these two approaches to one another reported conflicting results regarding their effects on survival; while some studies showed comparable survival rates, others demonstrated the superiority of total or subtotal gastrectomy. Rates of postoperative mortality and morbidity associated with both procedures are also still controversial. Majority of the studies addressed in this review retrospectively evaluated subtotal or total gastrectomy procedures for the treatment of antrum or distal corpus gastric cancers. It is notable that a very limited number of randomized controlled studies that investigated these two procedures reported inconsistent results. Meta-analysis studies also remained insufficient to prove the superiority of one procedure to another. This controversial topic can only be clarified through randomized controlled trials that investigated the same surgical procedure in gastric cancer cases with similar histopathology and the same ethnic origin and clinical stage.